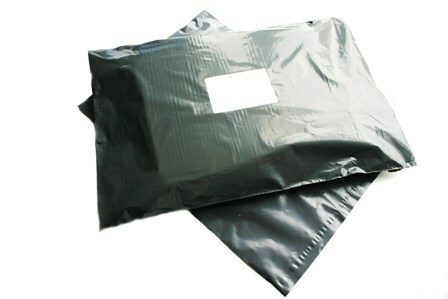 ﻿ Grey Mailing Bags 9.5" x 13"
Home » Grey Mailing Bags 9.5" x 13"
Strong A4 over-size grey mailing postal bags, size 9.5"x13" (240mm x 330mm) with 40mm 'peel & seel' lips. Perfect for mailing your small items and accessories at a very cost efficient price. All the mailing bags we stock are 100% opaque, meaning that items are not visible through the material once placed inside.